Somehow October turned out to be pretty eventful and the number of photos I took seemed to reflect that. I didn't do a count but I think I posted more photos than usual last month and I actually had a tough time pulling out some highlights this time around. As usual, I'm not going to overload you with a million pics here so to see more, check out my Instagram feed and of course you can also follow if you'd like. 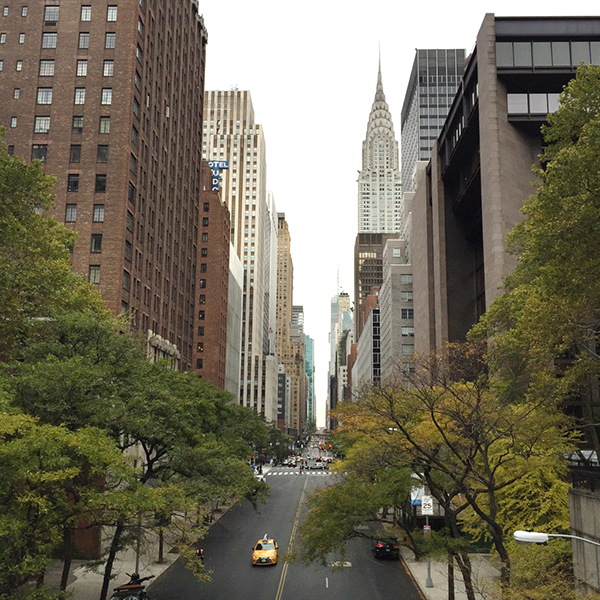 One of my favorite views of the city, looking west towards the Chrysler Building on 42nd street that's especially gorgeous during the fall. More lovely fall colors in the city. Sometimes when you look up, you see cool things. 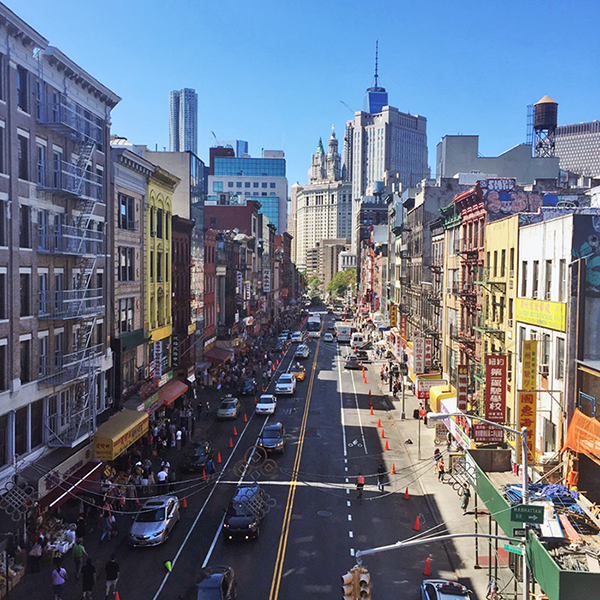 The hustle and bustle of East Broadway in Chinatown. More Chinatown here - a moody look at one of the most photographed streets. 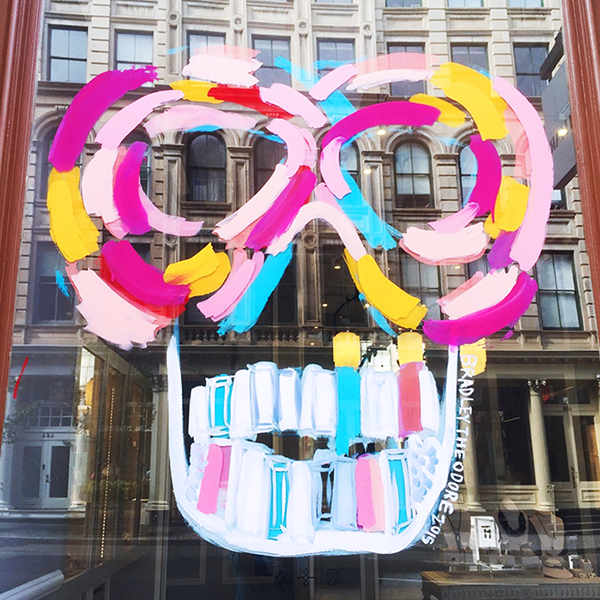 Cool Bradley Theodore art spotted in the window at Alexis Bittar's Soho store for the artist and jewelry designer's collaboration. 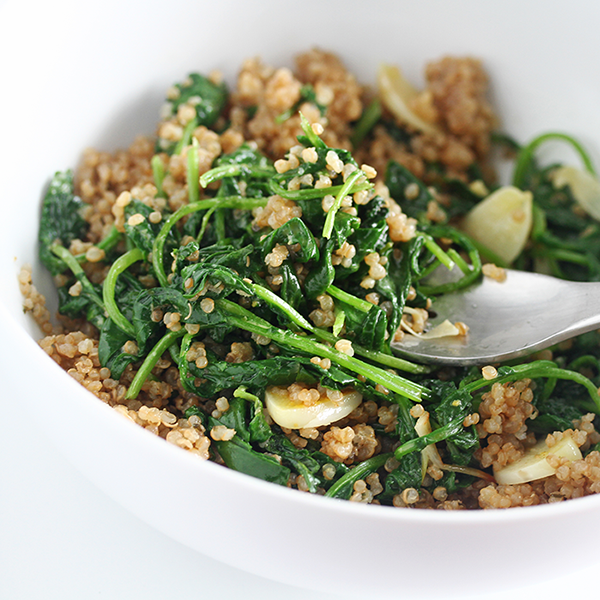 My favorite lunch lately, a concoction of quinoa, baby kale and garlic with a dijon and apple cider vinegar dressing. So filling and tasty! 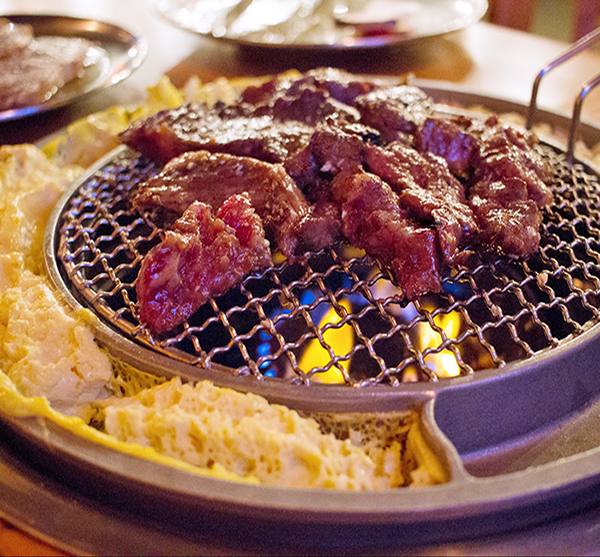 The lines at Kang Ho Dong Baekjong in K-town are still kind of crazy around dinnertime but their BBQ is awesome! Love the steamed egg and cheesy corn that cooks at the same time. 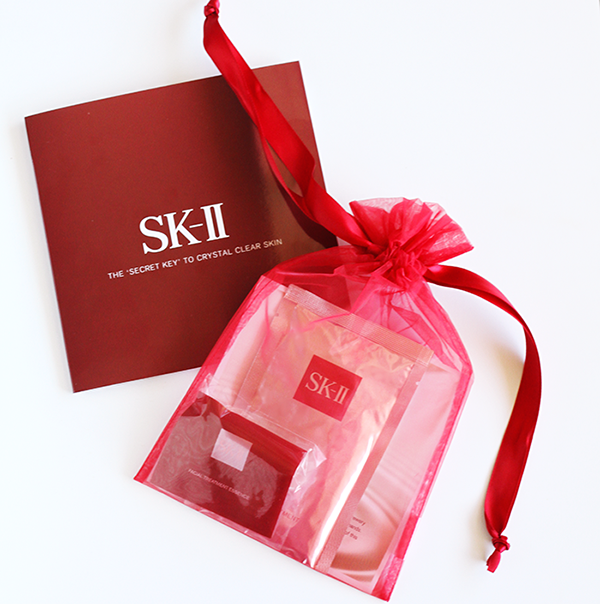 SK-II opened cool pop-up shop in Soho for the month where they had free skin evaluations and consultations. Of course I checked it out and scored some swag and I also got a nice surprise about the age of my skin. Read more about it here. 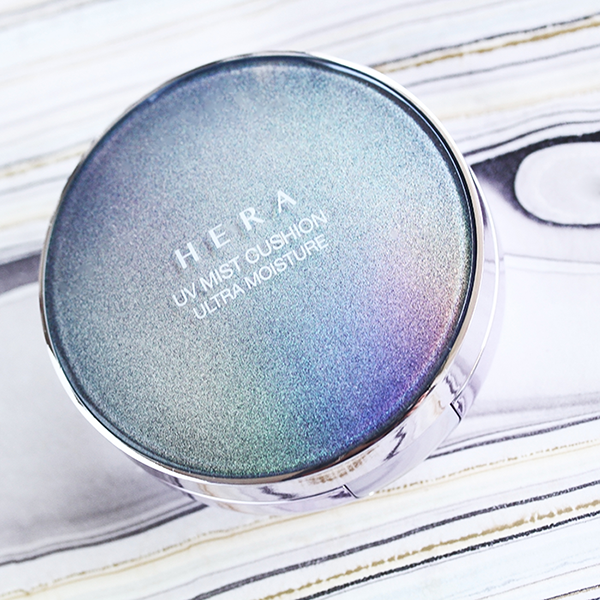 Hera UV Mist Ultra Moisture is current cushion compact I'm currently using. I wrote a mini review here if you want to learn more about it. I will be doing more of this type of brief review of select products on my Instagram going forward. Did you know that Sephora carries a selection of Korean beauty products now? 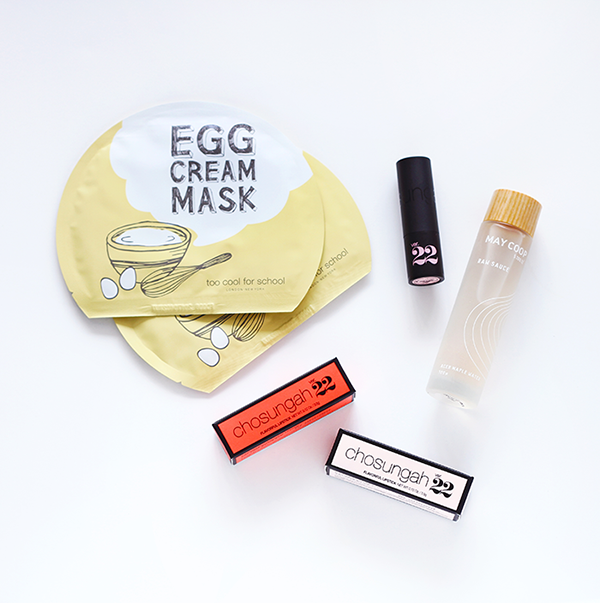 I recently picked up a few Too Cool For School Egg Cream Masks, the May Coop Raw Sauce and two Chosungah 22 Flavorful Lipsticks. Peek another recent haul. I attended an exciting beauty event hosted by Japanese brand DHC which previewed a number of fabulous upcoming product launches. Their DHC Deep Cleansing Oil is a cult favorite that I happen to love. 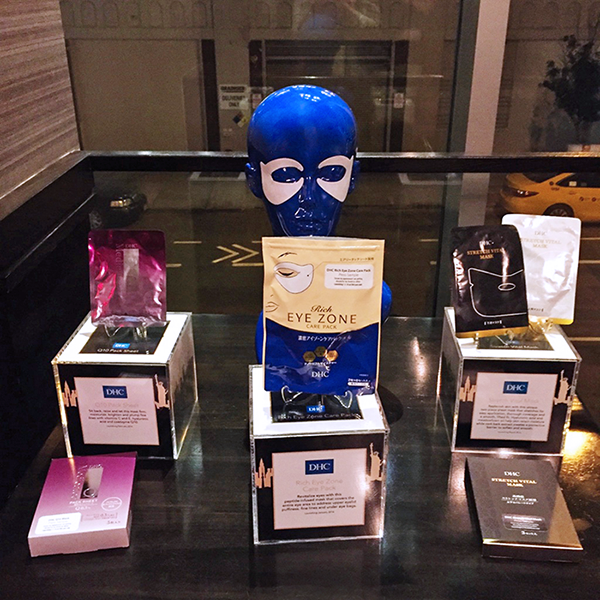 I received some great new goodies like the Rich Eye Zone Care Pack pictured here. I'm currently testing the products out and will be introducing them here soon. They have an eyeliner that is incredible! 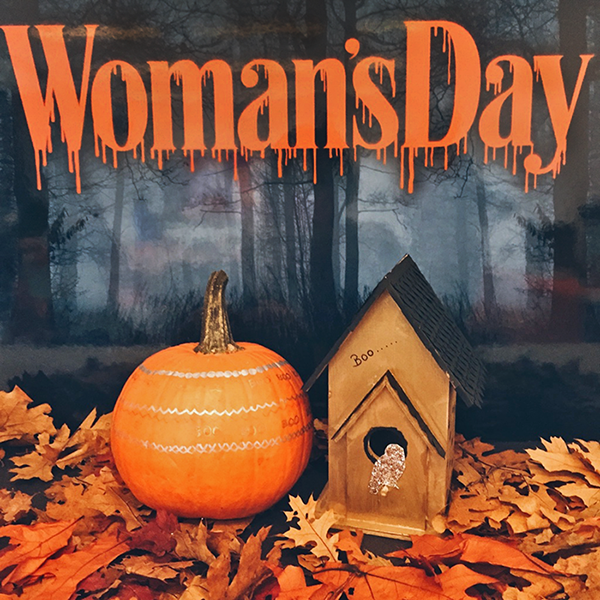 Had so much fun crafting and getting a jump on Halloween decorating with Woman's Day magazine in early October. Learned helpful tips like how a linoleum knife is the best tool to use for carving pumpkins. 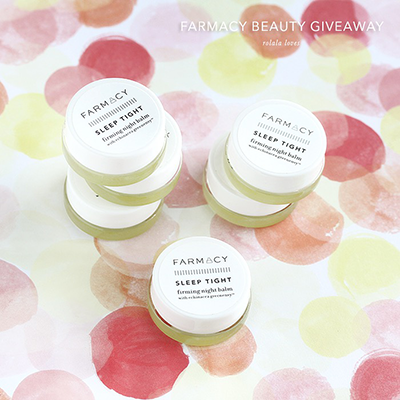 Have you entered my Farmacy Beauty giveaway? Six winners get to try the natural beauty brand's Sleep Tight Firming Night Balm which promises to transform your skin overnight. Check out my review and enter here. Stunning photographs of the streets and architectures, Rowena. The Egg Cream Mask looks so interesting. We don't have Sephora here but we've always had Korean products aplenty where I live. You see a lot of great things everyday if you walk the streets with an open mind. wonderful insta recap, I always enjoy browsing your photographs. That egg cream mask got my attention. What beautiful pictures, I love the look of the food!! That image of looking up and seeing cool things has to be the most incredible photo I've seen yet. And that quinoa concoction of yours looks yummers. Recipe? I just love your city photos, Rowena! The 3rd photo of East Broadway is a perfection! I really like the colourful buildings and the reflection of the sun, well done! I wish I could take more photos like you, but I often forget. Otherwise, I love posting on IG too! Have a nice day, Rowena! Amazing pictures loving the food I'm such a foodie. Great recap, cool pics babe!!! Stunning photos! I love the window art; so colourful! Wow, 7 years younger than your age is amazing, Rowena and you should share your skincare routine, I would love to know your secret! I stayed away from SK-II because I have many friends who used it and told me that once they stopped using SK-II and start using other brands, their skin went to hell. I also have yet to jump onto the cushion compact bandwagon but I do have my eyes on the one from Laneige, how did you like it? Like Shireen, I heard the similar stories about SKII, I have yet to try them. Hope you are having a beautiful week so far. I love your Instagram photos...the city shots are so beautiful! Looks like you had a great month and that egg cream mask looks awesome:) Kisses, darling. Beautiful beautiful photos, Rowena. I didn't know that Sephora carries Korean beauty stuff, need to look for it next time I am in. I am so totally into makeup stuff lately, lol. Wishing you a happy hump day, dear. Your photos always make me so jealous about where you live! Stunning! I love that art piece at the store. You always take really cool shots! Rowena, you do a great job with your skin! That just proved it! The buildings in NYC are so stunning. I love that Sephora is delving into Korean beauty products. It's a start! I would LOVE to see some Korean shops here SKINFOOD, ETUDE HOUSE! That would be awesome! I love that shot of China Town. I don't work too far from here. Great shots of the BEST city in the world! Just lovely! The egg cream mask looks very interesting. Will you be reviewing soon? Wow, just in your pictures here it looks like it's been a busy month for you. I love the pictures of the city! That's great about your skin age and I'm glad you could make it to the SK-II event. I'm worried what my skin age would be, people generally think I'm about 10 years younger than I am but it might just be they aren't paying attention and think I'm their age. :) I'm working on texture and moisture as well, I think I've gotten a lot of the way there as my skin hasn't freaked out with all the changes in temperature this fall as it normally does. Wow, all of your photos are beautiful. You take great photographs. Beautiful images! I love quinoa. An eventful month indeed- and wonderful pics to show it. You know, I usually get my Korean face masks in the pharmacy area of a local HMart ;-) Now I know I can get them at Sephora too. Looks and sounds like you had an enjoyable October. I like DHC products, my mum got my sister and I one them when we were young. Such a great brand. These images are nice, especially love seeing Chinatown in different cities. Enjoy the weekend. I didn't realize you had so many cool beauty reviews lately! You're also making me realize I haven't had quinoa lately and I'm craving it! 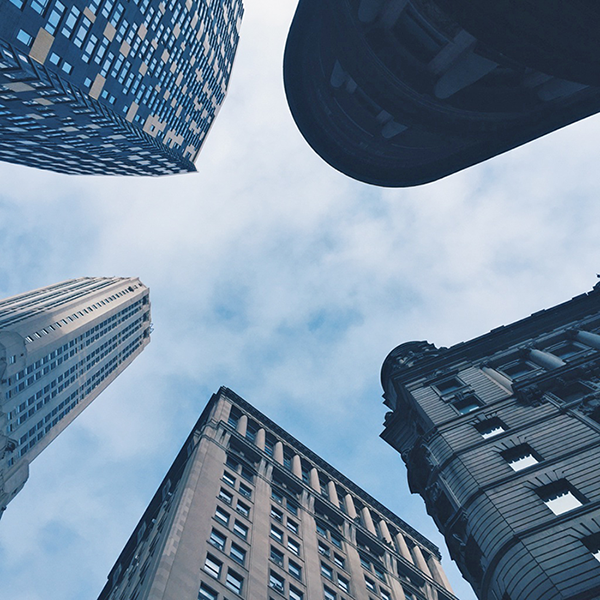 beautiful photos as always, especially the one of the tall buildings looking up.